With a surface texture inspired by chic quilted leather, the transitional Calla garden stool adds curvaceous style to indoor and outdoor spaces. Crafted of deep aqua glazed ceramic this accent piece is designed for use as a plant stand, seat or table. This is a great addition to your home whether in the country side or busy city. A graceful hourglass silhouette lends updated transitional style to the deep aqua Camilla indoor-outdoor garden stool. Crafted of glazed ceramic with an allover Chinese lucky coin motif, the pierced design evokes images of lacy flower petals. This is a great addition to your home whether in the country side or busy city. For the well-traveled home, the intricately sculpted east-meets-west glazed ceramic Dragon Coin garden stool. The spring green indoor-outdoor stool is adorned with Chinese vessel nail heads, lucky coin top, a pierced medallion and Roman lion heads. This is a great addition to your home whether in the country side or busy city. Perked up with eye-popping orange, the ages-old motif of the Imperial Vine indoor-outdoor garden stool will add fashion punch to any home. Crafted of glazed ceramic with the requisite double coin top and faux nail heads, it doubles as a stool or table. This is a great addition to your home whether in the country side or busy city. 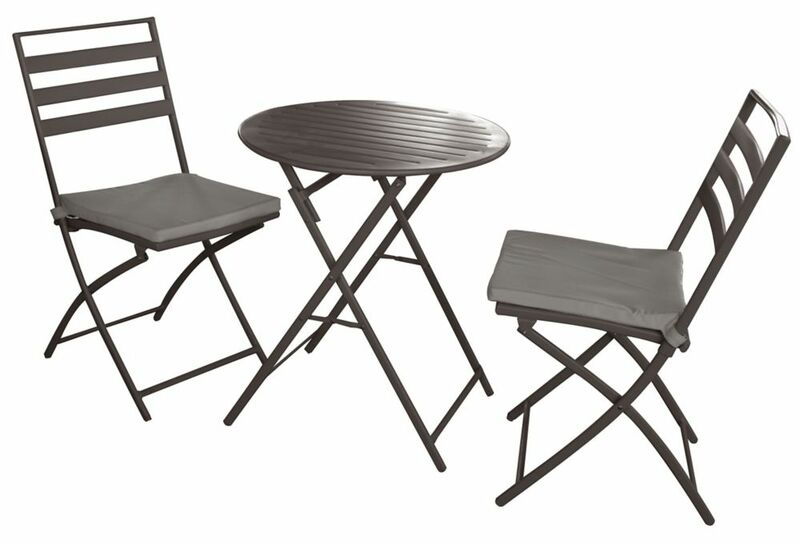 Tea Rose bistro 3 pcs This bistro set of contemporary look invites to take tea or aperitif. A European touch that seduces at first sight. Take note that all elements are foldable for easy storage and only take a few seconds to put in use position. No assembly required.